Cord was the brand name of an American luxury automobile company from Connersville, Indiana, manufactured by the Auburn Automobile Company from 1929 to 1932 and again in 1936 and 1937. The Cord Corporation was founded and run by E. L. Cord as a holding company for his many transportation interests, including Auburn. 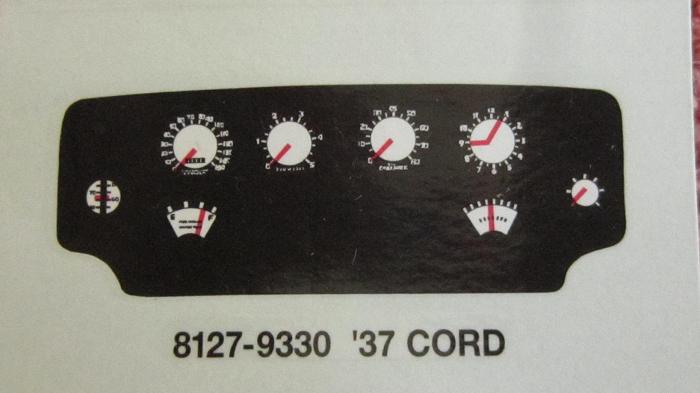 Cord was noted for its innovative technology and streamlined designs. 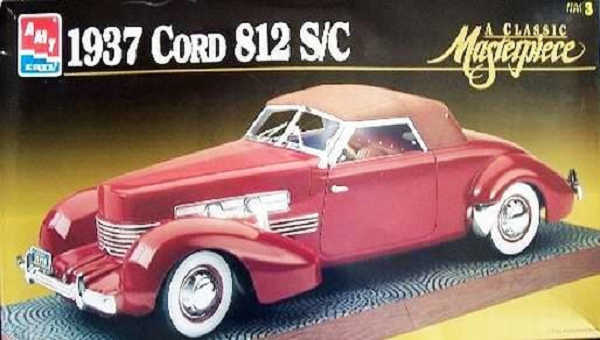 Cord innovations include front-wheel drive on the L-29 and hidden headlamps on the 810 and 812. Hidden headlamps did not become common as a standard feature until the 1960s (though DeSoto used them in 1942). The early Oldsmobile Toronados, whose GM stylists later stated they were trying to capture the "feel" of the Cord's design, also featured hidden headlamps. "Servo" shifting was accomplished through a bendix electro-vacuum pre-selector mechanism (a type of electromechanical shifting). The Model 810/812 are probably the best-known of the company's products. Styled by Gordon M. Buehrig, they featured front-wheel drive and independent front suspension; the front drive enabled the 810 to be so low, running boards were unnecessary. Powered by a 4,739 cc (289 cu in) Lycoming V8 of the same 125 horsepower (93 kilowatts) as the L-29, the 810 had a four-speed electrically-selected semi-automatic transmission, among other innovative features. The car caused a sensation at the New York Auto Show in November 1935. Orders were taken at the show with Cord promising Christmas delivery, expecting production of 1,000 per month. Production delays pushed the expected delivery date to February 1936. This proved optimistic; the first production vehicles were not delivered until April. In all, Cord managed to sell only 1,174 of the new 810 in its first model year. The car is well known for the flat front nose with a louvered grille design. The front was so similar in look to a coffin, the car was often called "Coffin Nose". 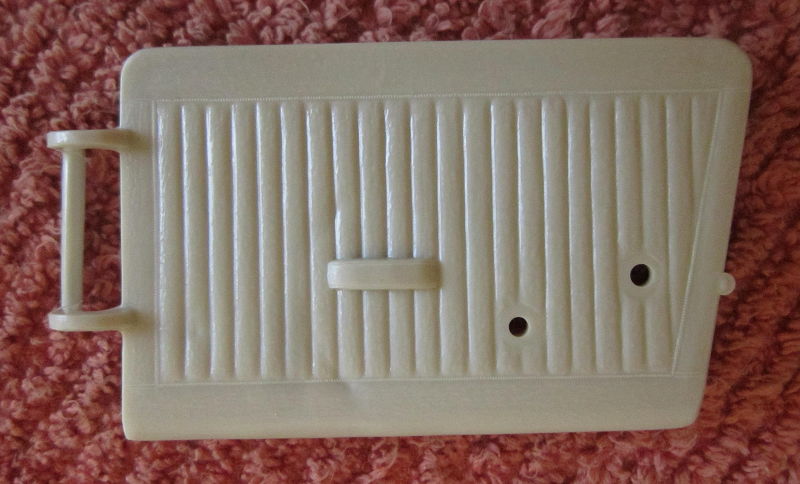 AMT-Ertl was a model company based in Dyresville, IA. They went out of business. The company began years ago manufacturing metal farm toys - tractors, combines, plows etc. They later went into plastic models. These were molded in Mexico. 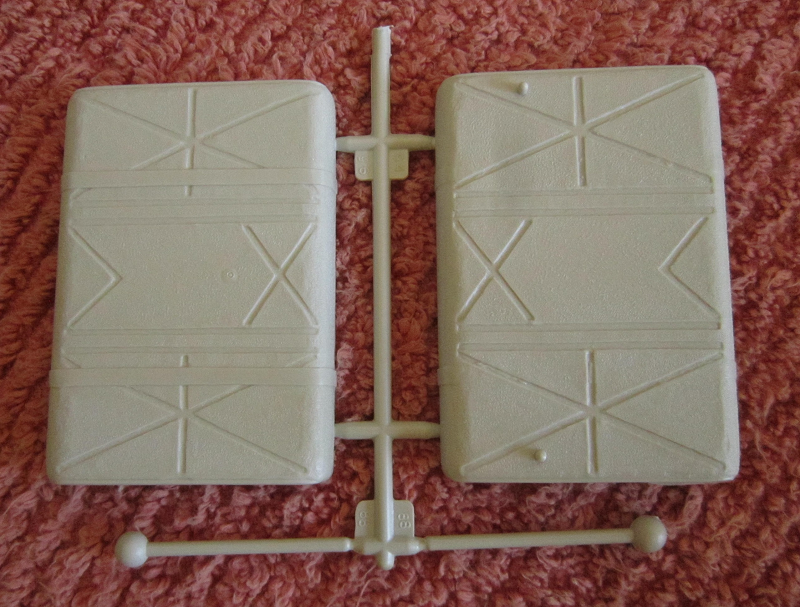 They also were associated for a while with Esci from Italy for plastic models. 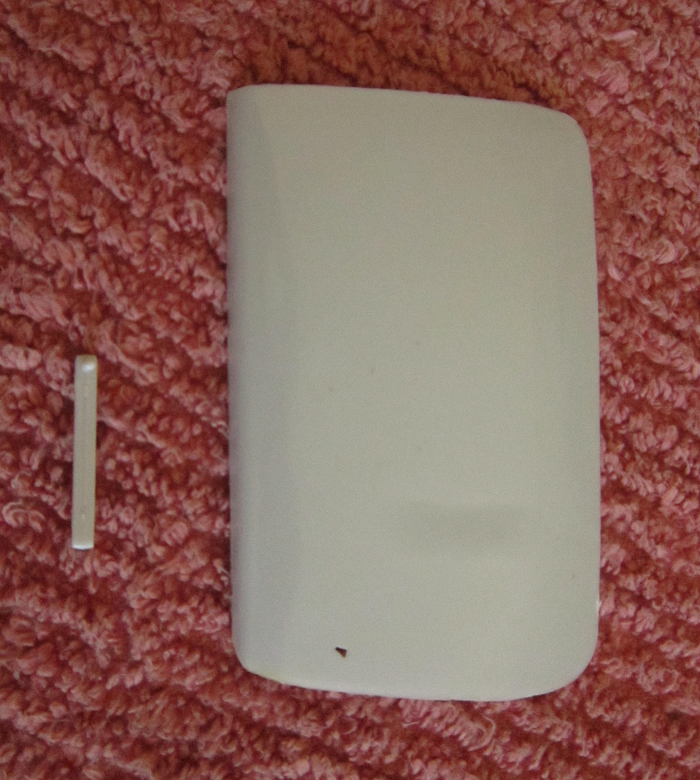 This kit came in HUGE shrink-wrapped tray and lid box that measures 27" x 15" and is 3 1/2" deep. 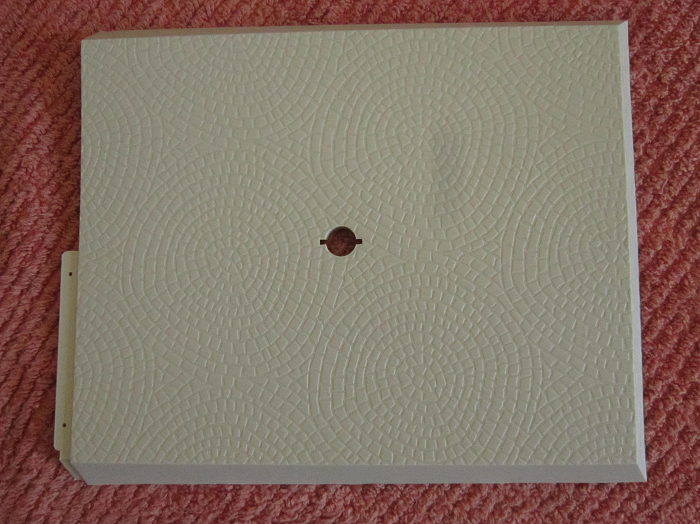 The box art shows a color photo of the model made up on its cobblestone base. It is overall bright red. The blue license plate on the front bumper has yellow lettering "MICHIGAN" over 39-28 over HISTORIC VEHICLE. One side panel has 3 color walk-around type photos of the car made up. Shown a side view with the canvas roof off and the passenger door open. A view of the flexible pipes exiting the hood and the engine. This is followed by a one-paragraph history of the Cord. ​Includes cobblestone textured display base and nameplate. Features a highly detailed 16 piece supercharged Lycoming V-8 engine. It has steerable front wheels and roll-up crank operated side windows and operating doors. 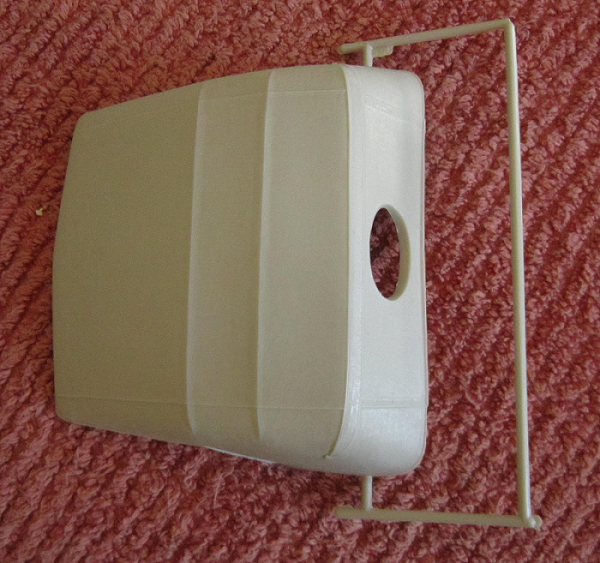 The model measures over 16" long when fully assembled. 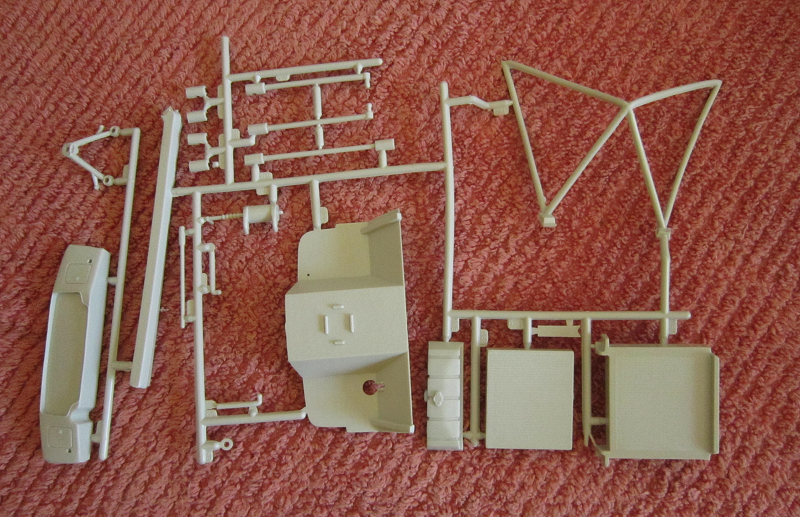 Kit contains 230 finely detailed parts. Ertl's phone number is given to call with any problem with the kit. Paint and cement are not included. The copyright date is 1993. Ertl's address in Dyresville, IA is shown and kit was made in the USA. Under a stiff sheet of cardboard, to strengthen the box, there are 22 chalk-white trees in 4 sealed clear cello bags, a loose chalk-white trunk lid, display base and body shell. A clear tree that holds the window panes and headlight lenses. 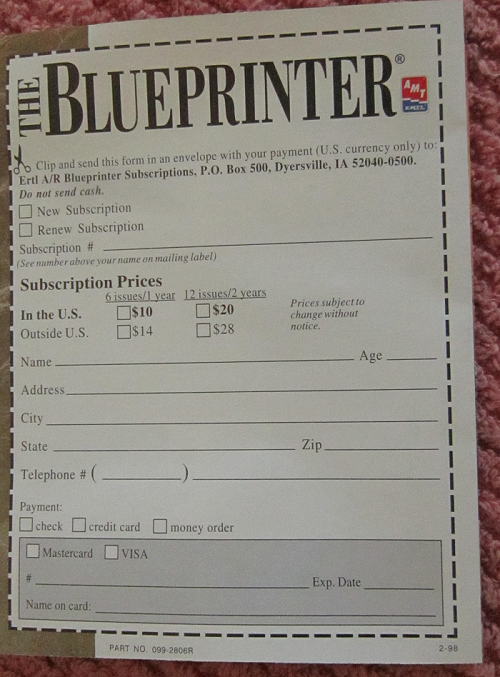 A Blueprinter subscription card for Ertl's newsletter (now defunct). ​3 instructions sheets. Two are 18" x 22 1/2" printed on both sides and one is 8 1/2" x 11" printed on one side. They hold a whopping 57 assembly steps. The small sheet of instructions is the painting instructions and has a suggested list of colors to use. There are no tree numbers or letters so I will describe them in no particular order. The 1st light gray tree consist of the frame (5 parts). 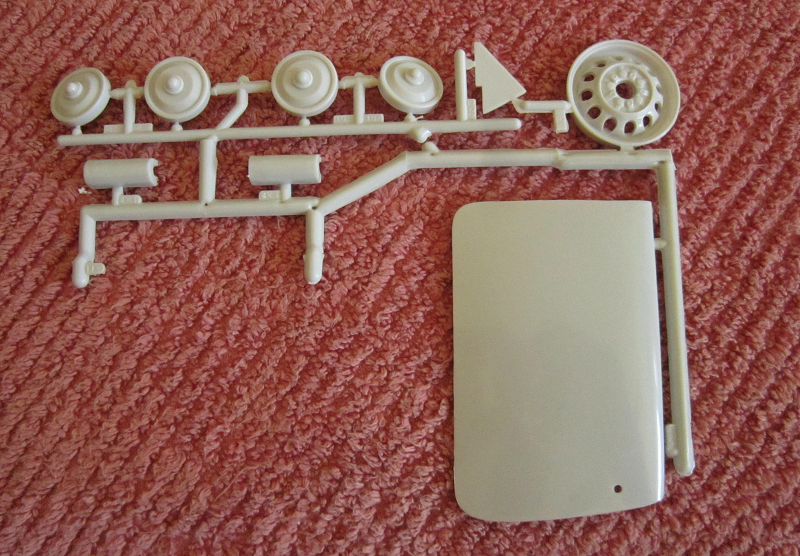 The second light gray tree has the exhaust system(5 parts). 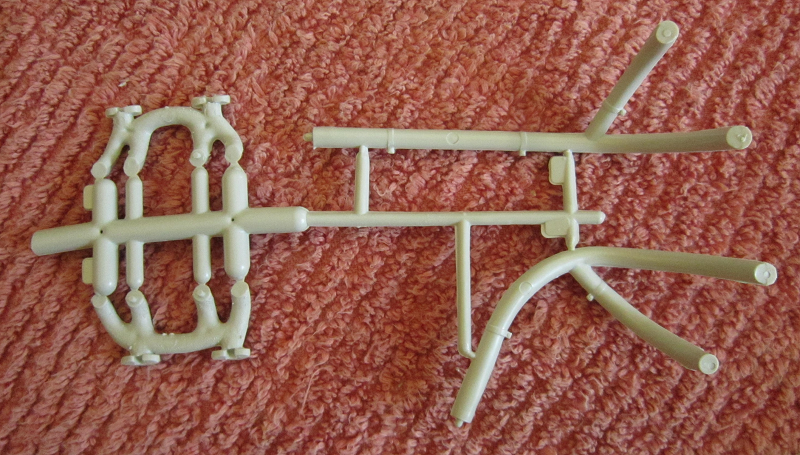 The third light gray tree contains the exhaust manifolds for the engine (4 parts). 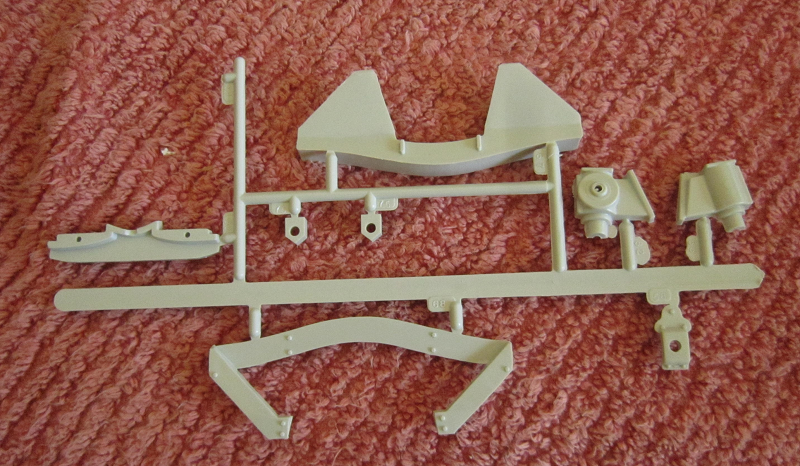 The fourth light gray tree contains the rear axle assembly (9 parts). The fifth, sixth and seventh light gray trees hold the front suspension parts such as trailing arms, bumper mount front clip,etc. (18 parts total). 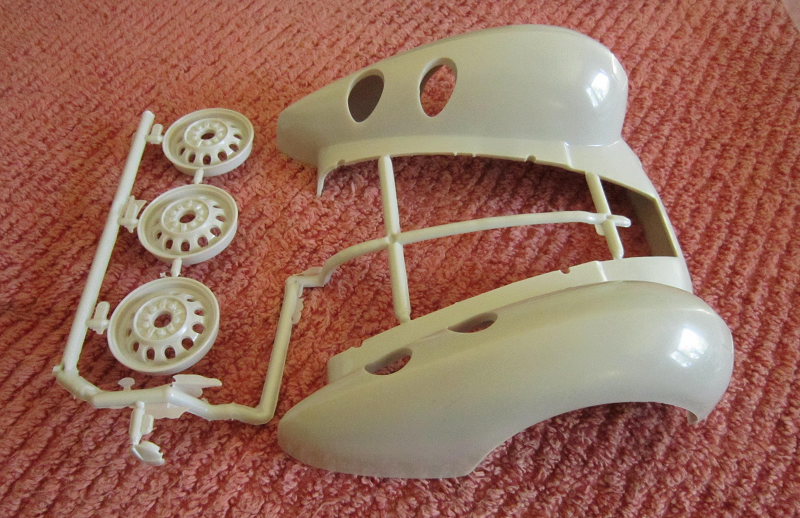 The eight light gray tree has the wheel rims, inner wheel disk, steering wheel and fan belts (1 parts). 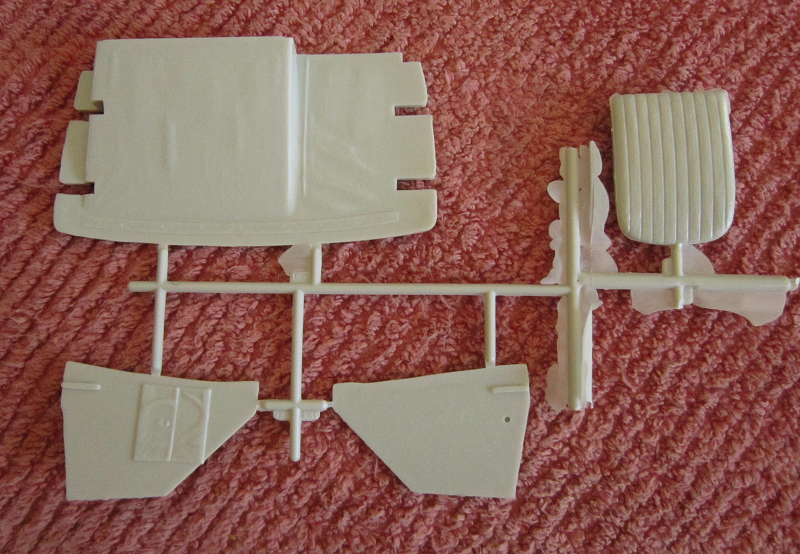 The ninth light gray tree holds more wheel parts and an outer door panel (9 parts). 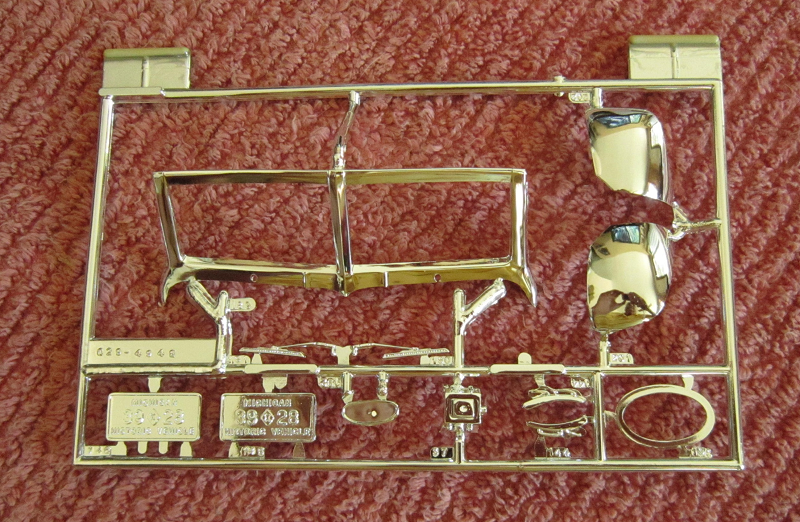 The first chrome tree has wheel covers, instrument panel,exhaust, etc. (26 parts). 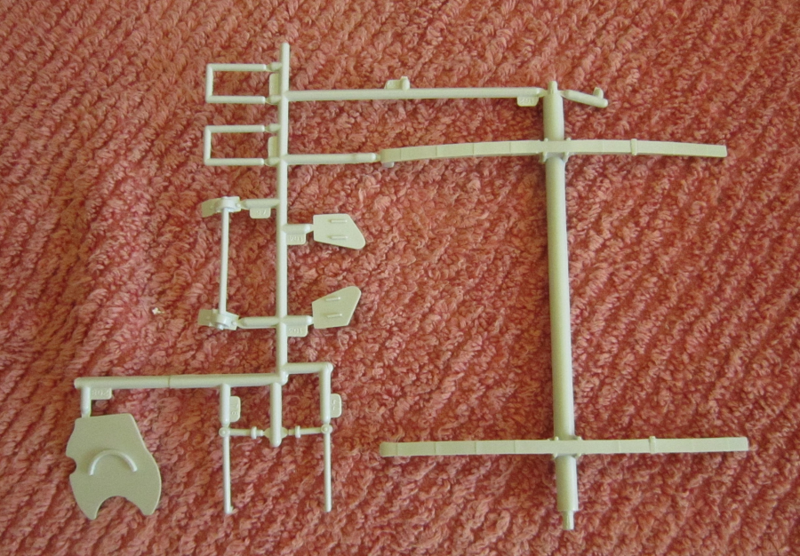 The tenth light gray tree contains the engine and transmission casings (15 parts). 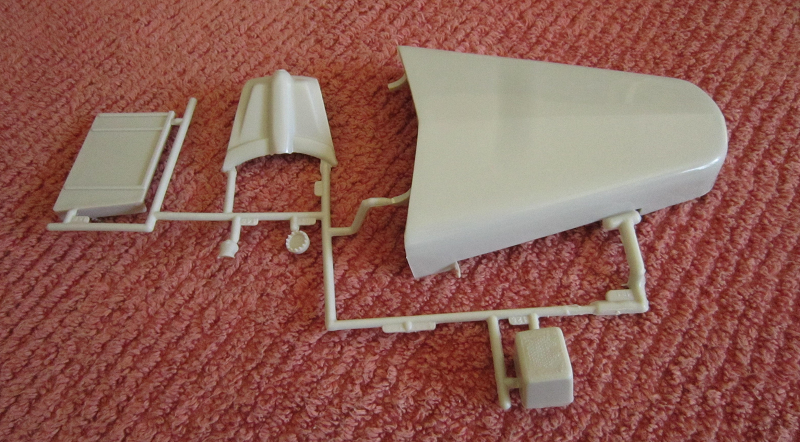 The eleventh light gray tree has the components for the engine such as the exhaust,pulleys,fan blade, etc. (17 parts). The twelveth light gray tree was loose in the box had is the fuel tank and two axle rods (4 parts). The floor board was loose in the box and the thirteenth light gray was has the fire wall, hood brace dash board,radiator, etc. (19 parts). 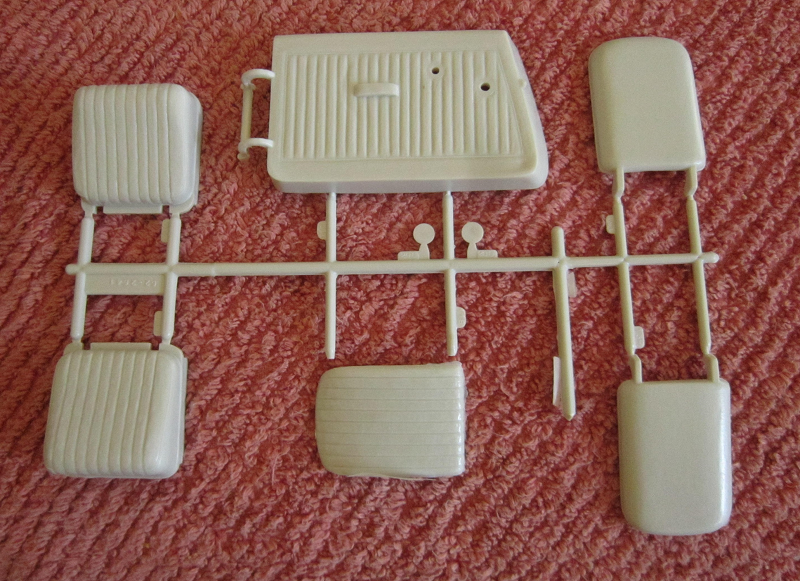 Light gray trees fourteen through seventeen hold the interior components such as seats, door interiors,window cranks, etc. A total of 22 parts. 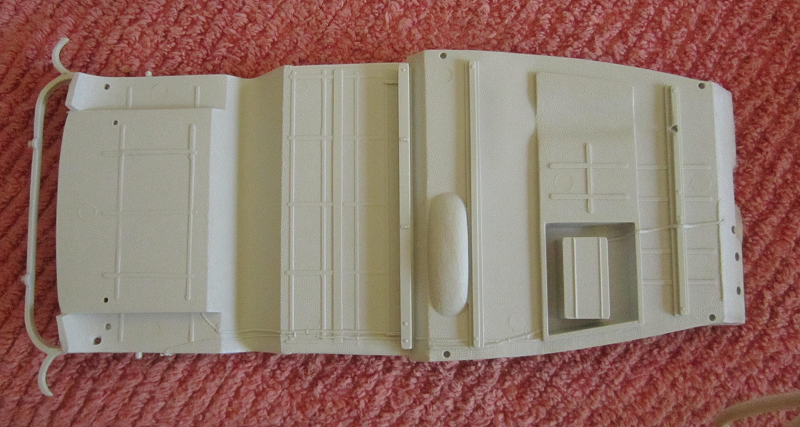 Light gray tree eighteen has the front fenders and outer wheel halves and a loose outer door panel (5 parts). The body comes molded in a single piece and tree nineteen contains the hood, trunk lid, etc. (6 parts). 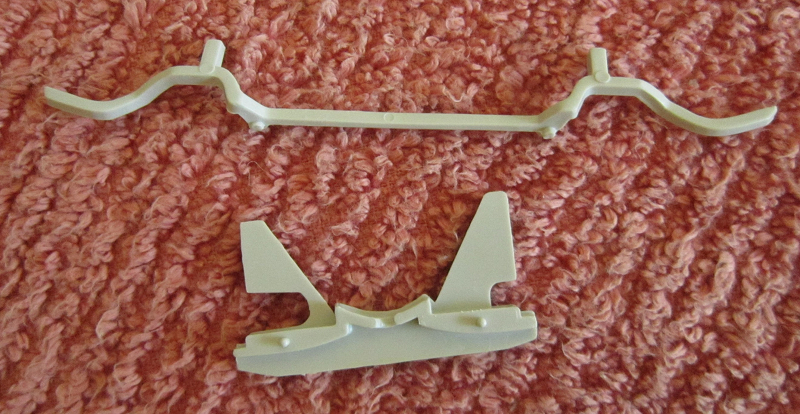 These parts are all molded in light gray. 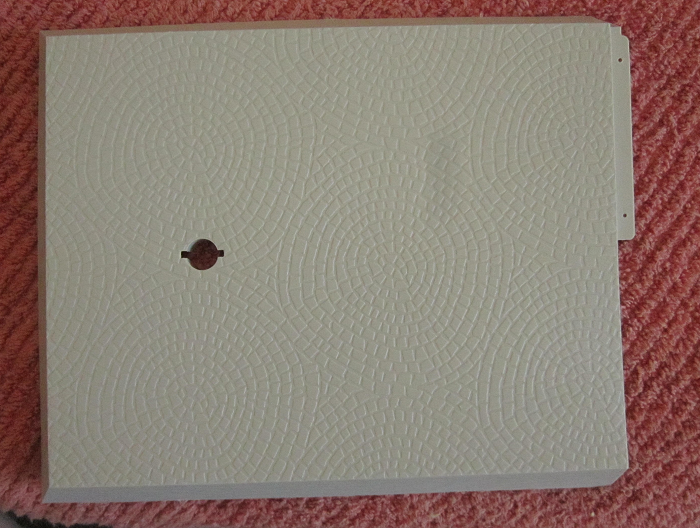 The canvas top was loose in the box. The chrome tree consist of the windshield frame , license plates, etc. (10 parts). 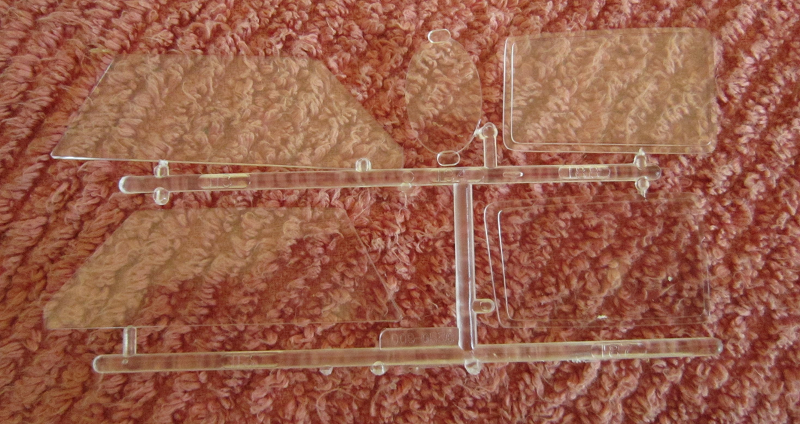 The clear tree holds the windows and wind shield (5 parts). The four vinyl tires, two diorama sections and instrument decal complete the kit. 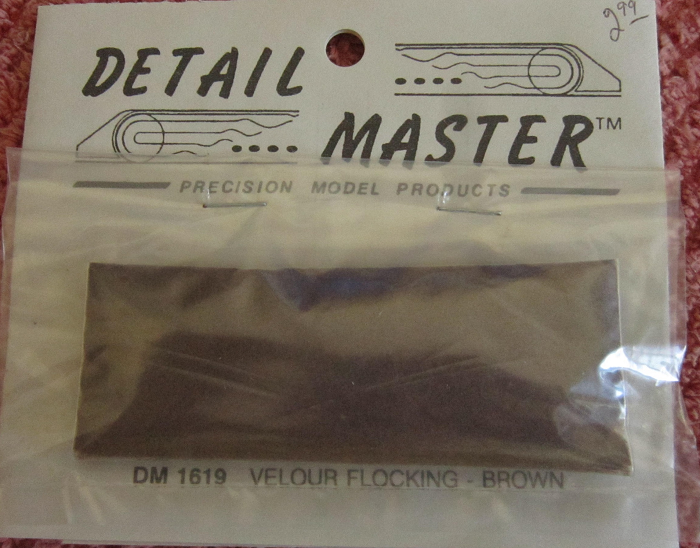 I purchased Detail Master DM 1619 Velour Flocking - Brown to add to the model interior. This is one neat LARGE SCALE kit of a vintage car. I like the working features. There is no driver or passenger figures included. Anybody know where I can find 1/12th scale ones ?